Welcome to the Threlfall Autos website. 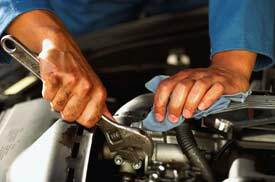 Being based in Dingle near Liverpool, Threlfall Autos are MOT & garage service specialists established over 20 years. Whether you own a top of the range car or a run around vehicle, our main dealer fully trained technicians will service and maintain your vehicle. Threlfall Autos are a company dedicated to giving vehicle owners choice, technical ability and superb value for money for all servicing, repairs and upgrades at prices far lower than your franchised dealer. In today's competitive market place, our customers demand expertise, value for money, convenience and choice when it comes to maintaining either their new or old vehicles. The Threlfall Autos Specialists open, customer centric approach allows us to fulfill all of your service and repair requirements. With all of the latest diagnostic equipment we are perfectly placed to deal with any given situation. Whether you own a luxury car, commercial van or any other make or model Threlfall Autos have all the options to make your regular service and repairs as hassle free as possible. 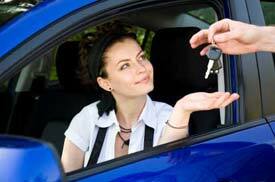 So for advice or to make a booking, call Threlfall Autos today. Why Choose Threlfall Autos ? 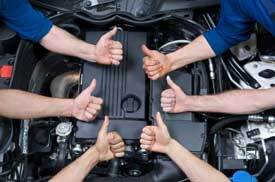 We believe there's no reason why you shouldn't choose Threlfall Autos for your servicing or repairs. Choosing Threlfall Autos does NOT effect your main dealer warranty, We can also stamp your services book, ALL parts are genuine and you can save up to 50% on dealer servicing costs. We offer everything and MORE than a main dealer at a fraction of the cost, we genuinely care about our customers and we take pride in our work. Threlfall Autos offer superior care for your car and is Dingles only true main dealer low cost alternative. In order to guarantee we can always 'beat your main dealer' not only do we have a far cheaper labour rate and better customer service but we can also offer you a choice of dealer quality patent parts to help keep your costs down without compromising quality. As one of the best independent garages in the Liverpool area, to maintain the quality of your car and warranty, we have access to the same parts your dealer does as well as thousands of parts from alternative brands many of which are already household names.